I got my old piano tuned this week. I was intrigued watching the piano tuner work. He'd bang on a few keys, tap his tuning fork and hold it to his ear, turn knobs, and weave cords through the strings. 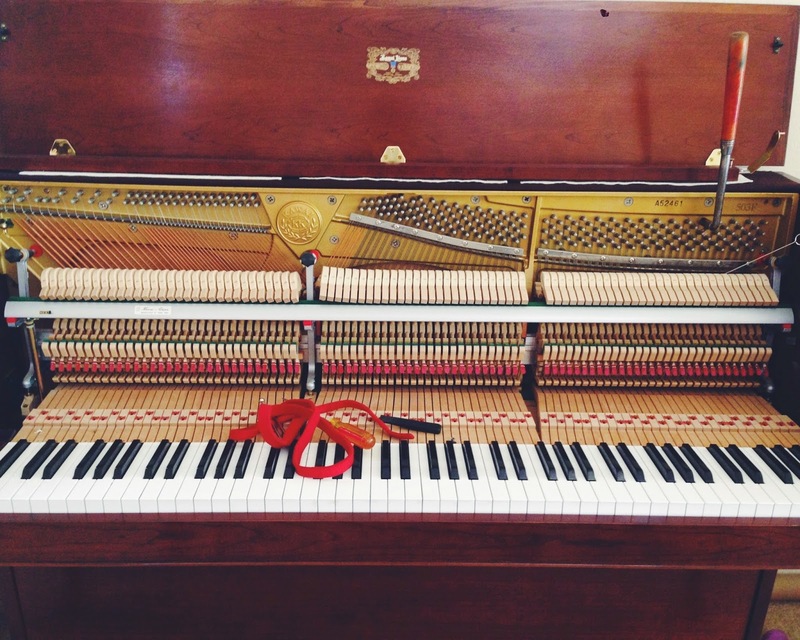 It took him nearly two hours to finish tuning the piano. But here's the thing. I've been playing this piano that's been out of tune for so long, that when I play songs on it now, it sounds strange and off to my ear. I need to be acoustically tuned.